Here are the answers for the February 15th Q & A! 1.) You stated that the Wind Raider sales were just "okay", despite the fact that there was no product left after 3 and a half days. When gauging the success of the Wind Raider, were the circumstances surrounding the sale factored into your assessment at all? It doesn't take a marketing expert to see that the confusion behind the Demo-Man shipping situation, and more importantly the fact that it was sold 10 days before Christmas when many fans don't have extra cash to burn HAD to be mitigating factors when it came to how quickly the item moved. Had the item been sold in October as originally planned (when the holiday crunch wasn't upon people and with Demo-Man and his problems months away), the ridiculously fast sellout you guys gauge as a "success" probably would have happened. It seems a shame that due to poor planning on your part in regards to the release date has reflected negatively on its performance, and therefore jeopardizes our chances at getting more vehicles... despite the fact that we did everything we could (i.e. buying everything you had despite those factors). "Let me try and clear the air on this one. First off, we had originally planned on the WR (and Granamyr is planned for) a Sept release. Due to circumstances we could not control the WR was delayed twice and had to wind up shipping in Dec. So it is not like we purposely planned or due to "poor planning on out part" to make this a Dec item. The other thing to take into consideration (and this is NOT an attack on customers) but we did make it very clear the cost of the WR well in advance. If this was an item you wanted to buy, you had months to save up and stash away needed funds. It is not like this high prices item came out of no where and surprises people. At the end of the day, it just took too long to sell a very small number of units." 2.) As a followup to number 1- You do realize that if you sell all of your product in a ridiculously short amount of time (like the Battle Cat and original Tytus sellouts), then you are missing out on a large portion of willing customers, right? I for one didn't get Tytus when he was originally available due to the short sellout time... and I know I wasn't alone. That was $40 you could have had from me then, but with a goal of super-rapid sellouts to gauge success, you missed out on me as a customer. I wonder how many Wind Raider sales you would have lost out on had it not lasted the whole 3 and a half days that it was up? We are looking into doing a second run and selling it during a non holiday time. We'll see if this works out to help pay for the high tooling cost. 3.) Do you plan on having figures other than Skeletor, He-Man, Battle Cat, and Panthor available on a regular basis? Teela seems to be a perfect candidate for this. It is possible but no one is planned beyond those 4 at this time. 4.) It seems many of the other companies are no longer shying away from big playsets. Playmates just unveiled an enormous Sewer playset for their upcoming Turtles line, while Hasbro has a 3 foot long Hellicarrier coming in their Avengers line (as well as multiple large Star Wars vehicles currently in production or coming soon). 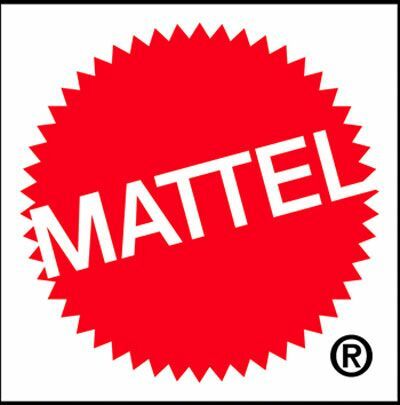 With your 2 largest competitors showing that they aren't afraid to tackle the large items, isn't it about time Mattel stepped up to the plate and took a risk on larger items (like Castle Grayskull)? If the Windraider and the 2012 sub has sold better we would have started looking into a playsets, but neither one did so the idea was put on the back burner. 5.) Have you ever thought of doing another spirit variant in the line? A spectral form of Demo-Man cast in green translucent plastic would be way cool! That would be awesome! But no plans at this time.